This office provides legal services to the Executive, all State departments , parastatals and independent or autonomous bodies such as the Auditor-General, the IEC (Independent Electorial Commission), SITA (State Information Technology Agency), SARS (South African Revenue Service) and local government that may refer work to it. • Writing of legal opinions and drafting of legislation. • Scrutiny of draft subordinate legislation, e.g. regulations. • Scrutiny of municipal by-laws. LLB admission as an attorney of the High Court or admission as an advocate would be an added advantage. State attorneys represent the State in all lawsuits and transactions for and against the State. They work and function in the same way as ordinary attorneys. 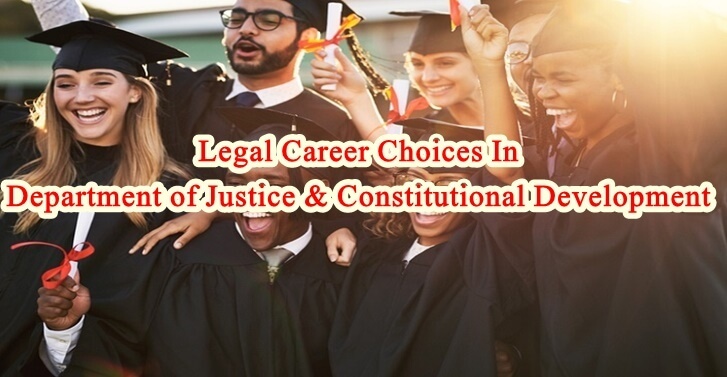 A candidate attorney may enter into an agreement of candidacy with the state attorney and may write the attorney’s admission examination after completion of his/her articles. LLB degree and admission as a attorney. This officers deals with legal administrative issues related to the administration of justice. • The administration of estates of deceased and insolvent persons in accordance with the applicable statutory pres c r i p tions. • The protection and administration of the funds of minors, contractually incapacitated and undetermined and absent heirs, which have been paid into the Guardian’s Fund. • The supervision of trusts in terms of the Trust Property Control Act, 1988. • The safeguarding of all documentary material received by the Master in respect of estates, insolvencies, liquidations, trusts, etc. • The processing of enquiries by executors, attorneys, beneficiaries and other interested parties. Three year legal qualification, such as an LLB degree and also go through Estate Controller, Assistant Master, Deputy Master, Master and then Chief Master. It is the duty of a family advocate to support both the High Court and the lower courts in civil matters regarding the “best interests of children”. A family advocate is also involved in cases where applications are made for the amendment of existing court orders regarding custody, access and guardianship of children. They also deal with international child abduction cases under civil law. must have an LLB degree and must be admitted as an advocate of the High Court.